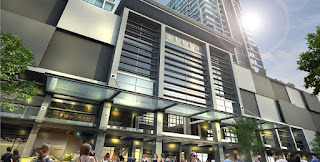 Atria SOFO Suites is located at Damansara Jaya, Petaling Jaya, a mixed development comprising 392 SOFO (Small Office Flexi Office) units ans 4-storey lifestyle shopping mall. Spanning across 5.5 acres of freehold land, this widely anticipated development is poised to offer a ‘work, shop, eat and relax’ lifestyle that will shape the way businesses and its immediate community live and interact. Built-up Area : 441 sq.ft. 1,092 sq.ft.